We run the biggest gaming portal, cooperate with gaming teams and communities and manage social networks. We can address up to hundred thousand gamers and young people who are interested in technologies either in a form of traditional advertising or in distinctive forms such as gaming tournaments, competitions and others. 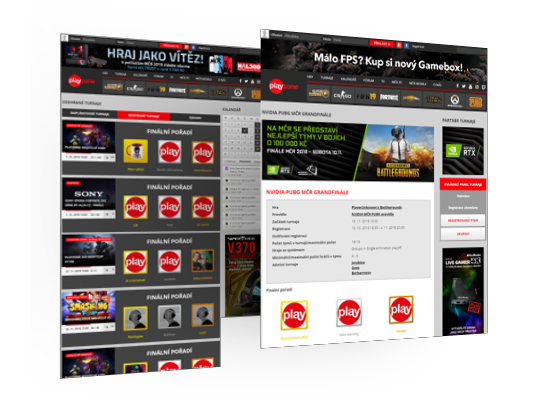 Since 2006 we run the biggest gaming portal in the Czech and Slovak Republic - www.playzone.cz (previously www.united-games.cz). More than one million unique users visit the website. 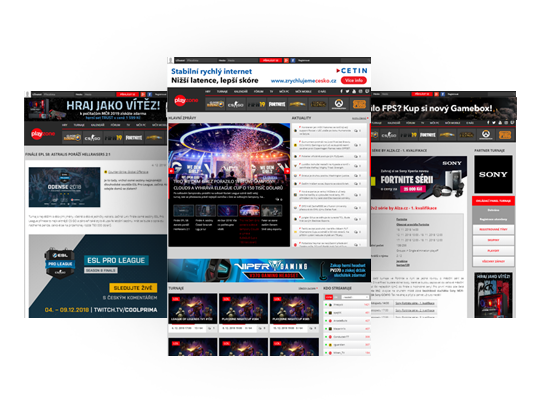 Its primary aim is to organize leagues and tournaments in the most-played online games and to bring the latest new for a gaming community. In this way we create a membership base to each single game and form communities for further work and cooperation. At the same time, we offer a lot of community functions such as a forum, the possibility of organizing own tournaments, choosing interesting streams, a calendar of all domestic events or a video archive. We also run a fan website of the game League of Legends www.bronze5.eu which follows the latest happenings and news as well as its gamers. In practise, there are online tournaments every evening in which we use our own tournament system adjustable for any games. Since the portal was established, we have organized more than 7 500 competitions in more than 35 games. These competitions are included in all year-long qualification for the MCR or their participants are awarded valuable prizes. A large number of participants shows why they belong to the most important ones. Therefore they are also highly attractive for partners whose brands we can display in the events (the name of the competition, logo in a banner, products within prizes and others). 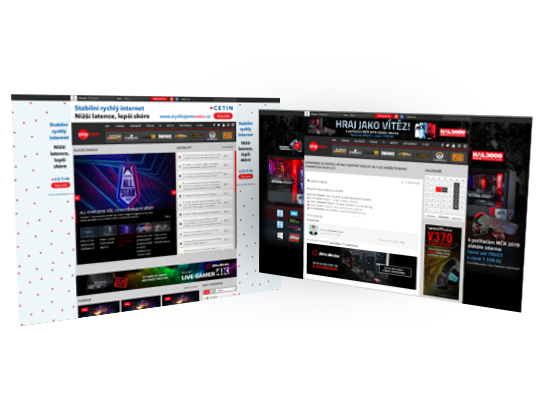 We are able to organize your tournament or league as a turnkey with branding, live stream, streamers, report and with the possibility of addressing registered members via private messages and ad articles. We use traditional forms for products and services advertising including full brand, banners, PR articles or direct mailing to registered users (more than 100 000 verified addresses). Also we do not prevent the realization of the turnkey advertising, according to the specific requirements of the client, whether it is competition on social networks or product advertisement of selected influencer. We actively use our social networks to communicate with communities and for marketing purposes. 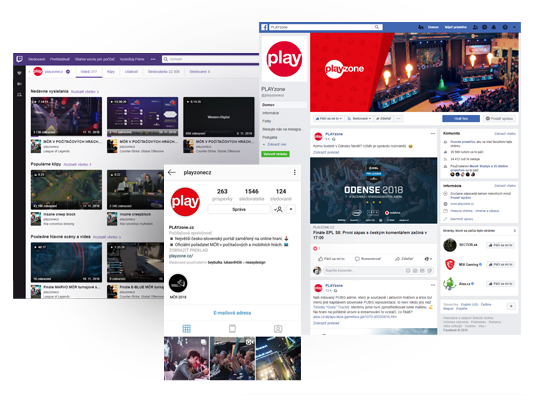 Among our strongest networks are a Facebook page with 36,000 fans, Twitch Channel with 23,000 followers, community Facebook sites for League of Legends (28,000 fans), CS:GO (20,000 fans), PUBG (10,000 fans), Clash Royale (6,000 fans), but also our Instagram profile or various Facebook gaming groups with up to 30,000 members for the biggest one. We also work closely with leading streamers who are particularly involved in tournament streams or program creation at events.